Call me a pollyanna, but I have a lot of faith in Mother Nature (or, put another way, natural systems) to adapt and protect against calamities. Not that everything will necessarily keep chugging along the way we humans like it, but that forests will remain forests, perhaps with some changes in species, and that garden plants should, in general, survive. A few odd things are going on this winter here in the Northeast and over much of the rest of the country. First is the mild temperatures. People worry that plants might begin to grow too soon. But today’s and tomorrow’s temperatures aren’t the only things that shake plants awake this time of year. Daylength also comes into play, and no matter what the winter is like, daylength is the same on any given date from year to year. 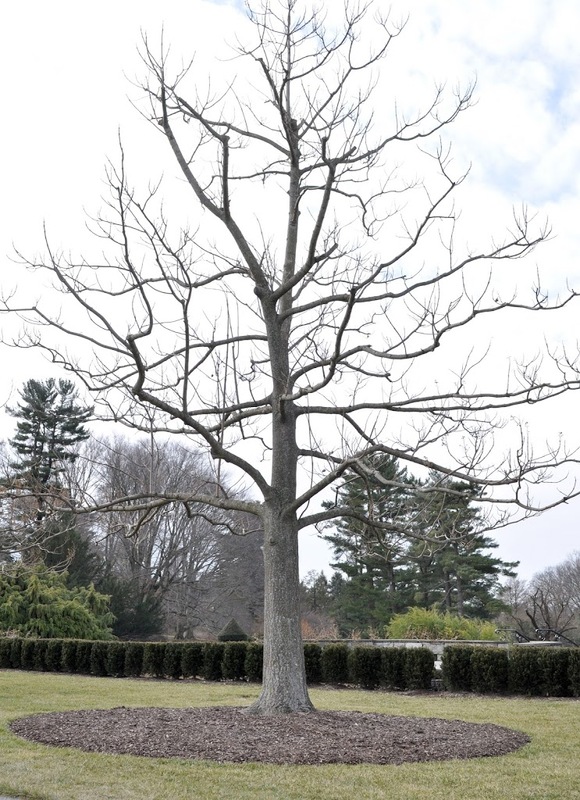 Temperatures over the past weeks and months also come into play: Plants won’t begin growth until they’ve experienced a certain number of hours of cool — not cold — temperatures, signaling for them that winter is over and it’s safe to grow. Some winters, those hours begin to accumulate in autumn and then finish accumulating in late winter, when temperatures turn cool, not frigid, again. In the South and perhaps this far north, this winter at least, those hours could have accumulated sufficiently through winter to cause an early awakening of plants. The first sign that many trees and shrubs show of awakening is the appearance of their flowers. 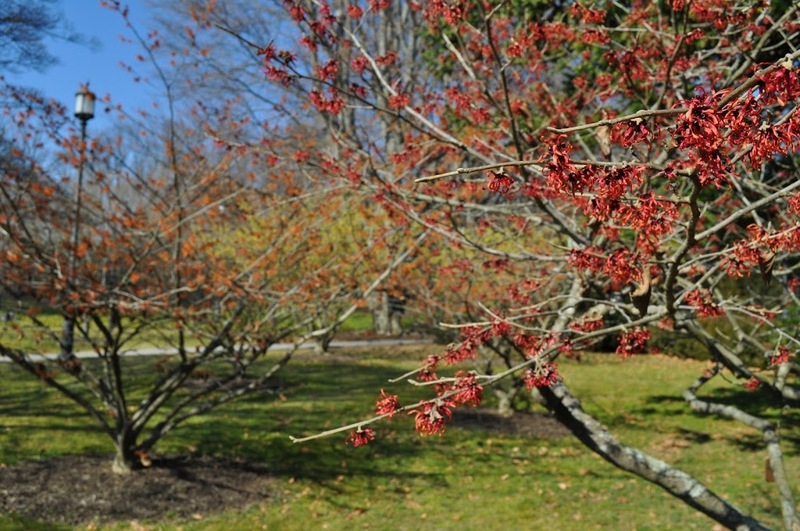 These early blossoms could, in fact, succumb to subsequent cold weather. That cold could snuff out developing fruits, snuffing out this year’s crop. Or that cold weather could turn, say, an early tulip blossom from a handsome red cup to a wet dishrag on a stalk. In either case, the plants themselves, except for the blossoms and fruits should not be harmed. The second odd thing about this winter is the lack of snow cover. Snow reflects light and heat from winter sun. Evergreens don’t like this at a time when their roots are cold and not especially active. The result is scorched leaves. Bark also can scorch, except this time it’s called scalding, when winter sun heats up dark bark by day and then bark temperatures plummet as the sun drops below the horizon. On the plus side, snow is a great insulator. It helps modulate soil temperatures to minimize alternate freezing and thawing, which can heave plants up and out of the soil. Heaving is especially a problem with young or new plants, as yet hardly rooted. That insulating, white blanket also lessens roots’ exposure to cold. Without snow, less cold-hardy plants (and we gardeners are always pushing the limits) might show more winter damage. Then again, snow isn’t the only insulator. Any good gardener mulches plants to provide nutrients, to conserve water, to build up humus, and to feed beneficial soil life. I’m banking on those layers of wood chips, leaves, straw, and other organic materials I spread through autumn to protect my roots — plants’ roots, that is. No question about it: Temperatures, on average, have warmed in recent years. Plants are responding. But how? Trees, for example. To help answer such questions, the Smithsonian Institute recently began a citizen science program to track tree growth throughout the world. The way it works is that, after signing up to become a “citizen scientist,” you’re sent a tree banding kit along with instructions for attaching the tree band, selecting study trees, and gathering and reporting data. Information, including a video, is available at https://treebanding.si.edu. It’s all free, it’s all interesting, and your data, along with that of citizen scientists worldwide, will help us better understand tree growth, and what’s affecting it, over the years. My gardens, indoors and out, would be much improved with their knowledgeable crew of helpers. Of course, you don´t need to post this comment, it is only for your use. Thank you for your excellent blog and books.